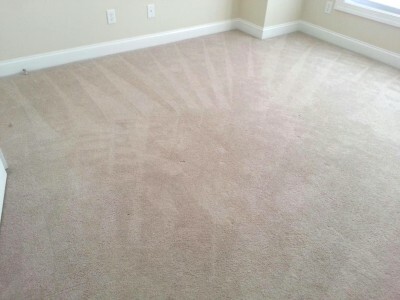 Do you want the cleanest carpets in town at a fair price? Do you want the best cleaning methods with a quick dry time? Do you want clean-cut, polite service technicians who show up when they say they will? Then you should choose Finesse Pro Services. Clean carpets are a key component to a healthy home or business. Allergens, dirt, grease, food stains, pet stains, and other pollutants are introduced to your home or place of business every day. Regular deep cleanings of carpets ensure a clean and healthy environment for your family, friends, employees, and customers. Finesse Pro Services has been serving Pender, Onslow, and New Hanover counties for over 10 years providing excellent results to our customers. We use state of the art cleaning methods, a complete set of top of the line cleaning solutions, and well-trained technicians to ensure you get a great job every time. In the rare case that you are not satisfied, call us and we will come back at no charge to address your concern. Finesse Pro Services uses a 7–step process that produces superior results. So What Is The Best Method For Cleaning My Carpet? Every carpet cleaner will tell you their method is best. The Carpet and Rug Institute, an independent organization that oversees and educates consumers on the carpet industry, lists the recommended residential deep cleaning method from the largest carpet manufacturers. 15 of the 16 manufacturers who list their recommended method, state that Hot Water Extraction (HWE) is a method of choice (see CRI Manufacturer Deep Cleaning Methods). Finesse Pro Services uses HWE with powerful, well-maintained systems to ensure a deep clean and a quick dry-time. Don’t be fooled by our competitor’s websites who try to put down HWE, or tell you their methods are best. Their methods require less investment and training and usually deliver inferior results. We also offer additional protection to your carpets with the application of Scotchgard™ Protector. Scotchgard™ Protector keeps your carpets looking good longer, and makes them easier to clean in the future. Dry soil is easily vacuumed away, and spills can be spot cleaned more easily than unprotected carpet. Protect your investment today. Finesse has a large clientele of commercial customers. One of the leading methods for cleaning commercial glue down carpet is the Encapsulation method. This is a low-moisture cleaning method that contains a crystalizing polymer technology that enables encapsulated soil to be extracted from the carpet with subsequent post-vacuumings. Hot Water Extraction is also a great method in some commercial applications. Call Finesse today and we can evaluate your carpets and recommend the cleaning method that will best fit your environment. Finesse® is the only name to remember for all your carpet care needs.